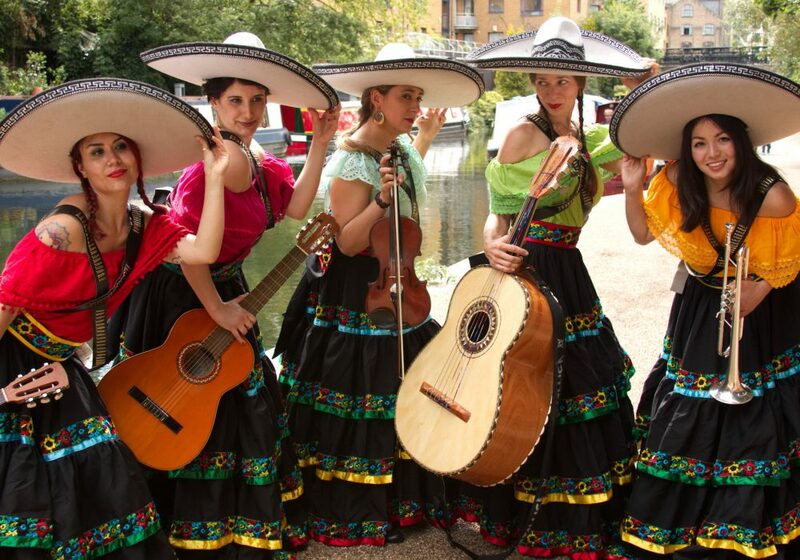 Outstanding and authentic all-female Mexican Mariachi band for hire. 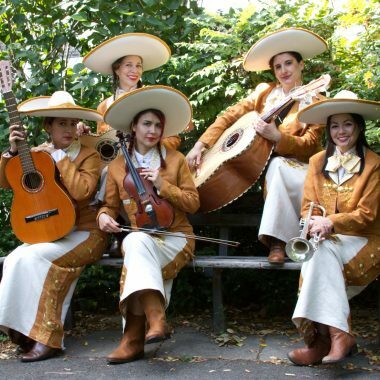 Mariachi Las Adelitas guarantee to make your Mexican themed event extra special. 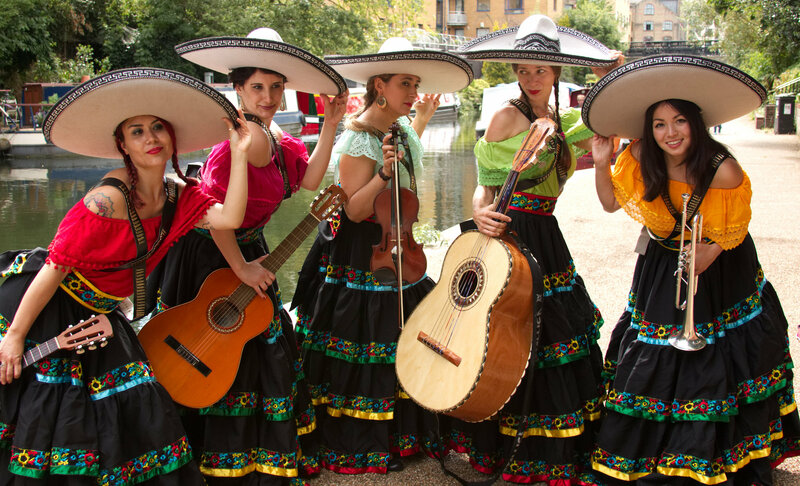 Hailing from all corners of Latin America, not only is each member of the only all-female mariachi band in Europe a fantastic instrumentalist in their own right, but there are no less than three lead vocalists in the group. Officially a 6-piece band, they can expand to a 10 piece or play in smaller groups if required. With tight vocal harmonies and years of experience on their instruments and in the mariachi style, they also look great! They are available to play serenades as per the Mexican tradition, as well as weddings, birthdays, and absolutely any kind of celebration. 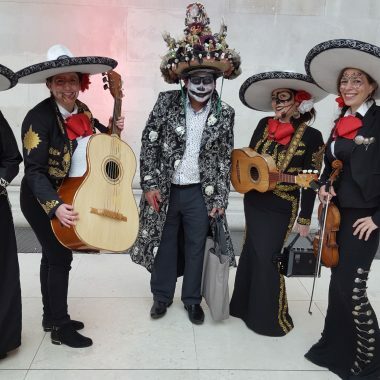 All of the mariachi classics are included in their repertoire, with some beautiful arrangements of well-known songs as well as lesser known but authentic and irresistible arrangements of regional styles that can really be tailored to suit any occasion. Special song requests can easily be catered for. As an acoustic band they take no time at all to set up, although they have small portable amplifiers they can bring along at no extra cost. 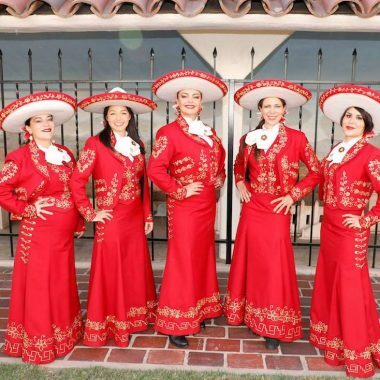 They have 4 different styles of made to measure mariachi outfits made to measure in Mexico, including the ‘Adelitas’ outfits, the dress of the namesake warrior women who took to arms in the Mexican Revolution. If you want much more than your average mariachi band, guaranteed to make your event extra special, choose Mariachi Las Adelitas.